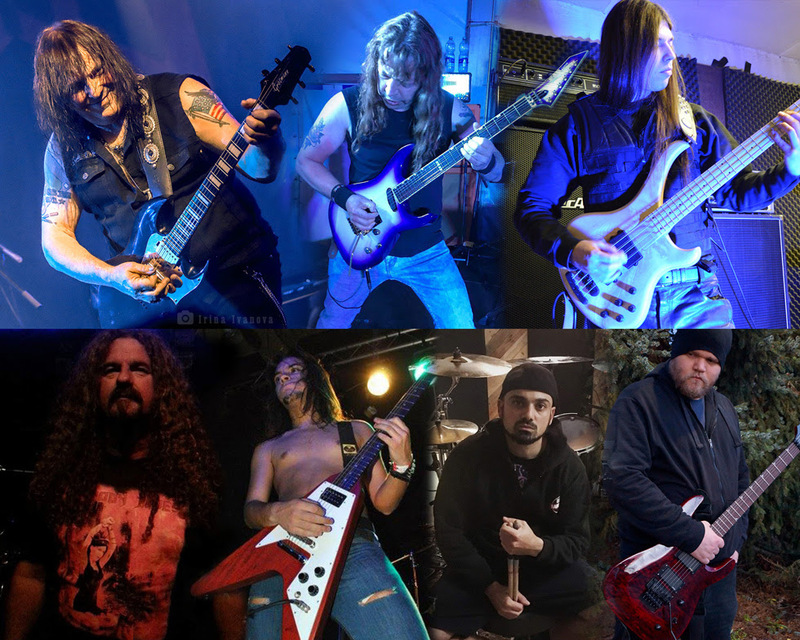 German heavy metal band, BLOODY TIMES, have released a new lyric video for “Fort Sumter”, the song is taken of their new album On A Mission due out on January 11, 2019, which also features ROSS THE BOSS (ex-MANOWAR), JOHN GREELY (ex-ICED EARTH) and RAPHAEL SAINI (EX-ICED EARTH). The video can be viewed below. The album was mixed and mastered by OGrego (Winter’s Dawn, Necrorgasm, Emerald), with the album artwork created by Stan-W Decker (Ross The Boss, Primal Fear, Masterplan). 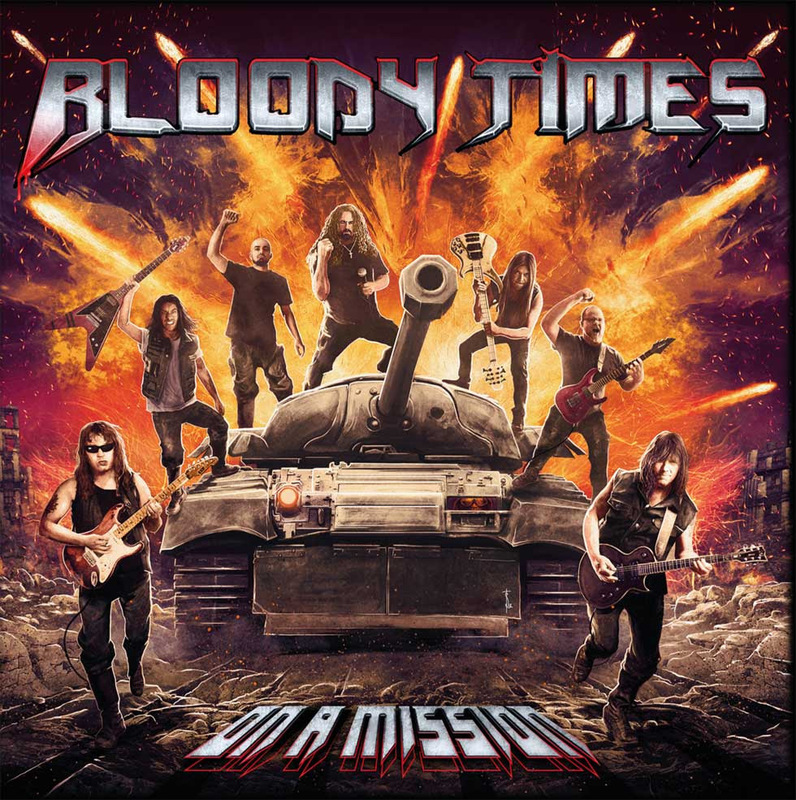 In 2014 the name “Bloody Times” was first used for a collection of recorded riffs and demos by bassist Simon Pfundstein, who is therefore known as the founder of BLOODY TIMES. Unlike a classic band formation, BLOODY TIMES slowly evolved out of a solo project. What was created as a hobby led to the production of the first album two years later. The Fire of Immortality was released as debut album in November 2016. On this album, Simon was supported by former ICED EARTH drummer Raphael Saini. All other instruments were recorded by Simon. In the following year, two of the existing songs were re-recorded with John Greely (Seventh Servant). Since the release he has been the main singer of BLOODY TIMES. John is known for his performance on the album Night of the Stormrider, which he recorded together with ICED EARTH. Work on a second album began in late 2017 with John on vocals and Simon on bass. While Raphael is also on drums in this production, different guests were on guitar. Five different guitarists contributed their skills and were also partly involved in the songwriting process, which was otherwise mainly done by bassist Simon. The passion for music and metal unites all the members and guests of the project.